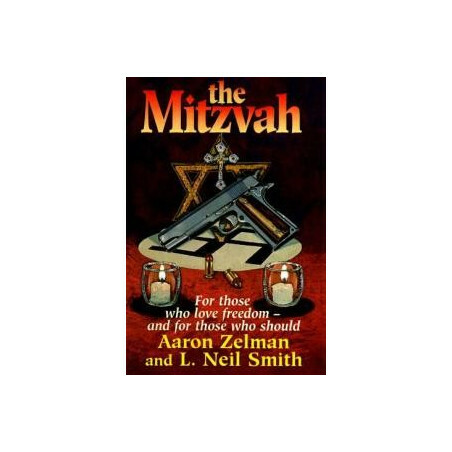 A Mazel Freedom Press and JPFO publication, this is a potent new weapon in the intellectual arsenal of liberty. 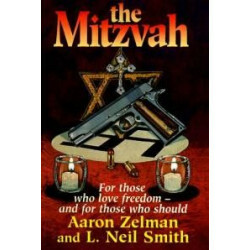 The Mitzvah, by AARON ZELMAN and L. NEIL SMITH, is a novel of today ''for those who love freedom. When John Greenwood, a Catholic priest from Chicago -- and a liberal ''child of the 60s'' -- suddenly learns that he's a Jewish Holocaust orphan, he asks desperately, what does that make him? Is he Catholic or Jewish? American or German? Who's right, his pacifist mentors, or his newfound family, some of whom died fighting Hitler? Is the real agenda of the United Nations to destroy the Bill of Rights? John's mind spins as his struggle to find answers, for himself, his foster parents, his real family, and his long lost love, plays out against a background of real events in America and the world today. And when John finally speaks out ... the government responds.